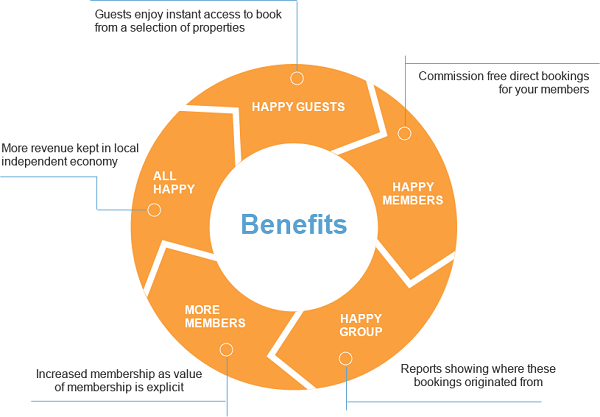 Here at freetobook we are continually looking to make it easier for small independent accommodation owners to thrive. 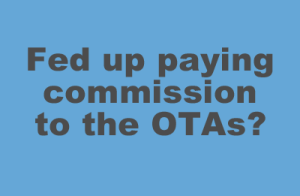 One message we hear again and again is that the large OTAs are taking more and more commission. Well, here’s the good news, it’s never been easier to fight back with zero commission direct bookings from your group’s website. A group website can be created for a few nearby properties who want to work together or for bigger groups like a local association or marketing group. Get together and co-operate to reduce commission. 1) Zero commission for all your group’s bookings. 2) Easy to refer phone bookings when you are full, revenue stays local. 3) Professional online booking and mobile site improves the image of your group. 4) Simple to administer, each property handles their own availability, rates and information. 5) It’s your group – you own the website so you can invest in it and grow it. If you want to start fighting back against all the high commission bills this is a great place to start. Find out more from those already doing it with their “Together” websites. 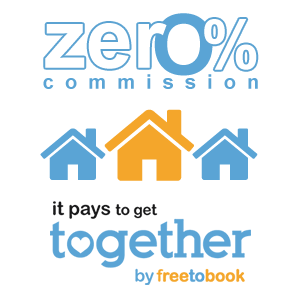 Join Together for more zero commission bookings from freetobook on Vimeo. 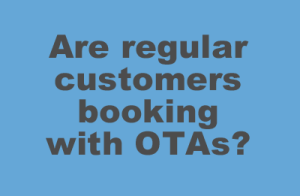 On the phones we hear the pain many accommodation owners feel when they get the monthly commission bill from their OTAs. Particularly annoying is finding repeat or regular customers who somehow end up booking through an OTA rather than directly. Many of you are looking for tools to help fight back against rising costs from the Online Travel Agents. One excellent way to do this is by using promotional codes. 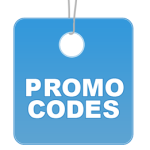 A promo code is a private special offer that gives customers a discount when they book online directly with you. Essentially you give them a small discount making it cheaper to book directly, they save and you reduce your commission bill with more direct bookings. They simply type a promo code into your online booking page and it gives them a special direct discount. The first step is to think about how much of an incentive you want to give to direct bookers. Perhaps your OTA commission is 15% and you want to give your customers 10% off thus saving you 5%. In the example we give the hotel offers a ten percent discount but you decide the amount yourself (you set it and you can easily change it). Next you create a “Promo Code” in your freetobook account. Once you have your promo code setup (eg. DIRECT10) you now need to let your customers know about it, ensuring they know that booking directly on your website will save them money. The simple message is “Book direct and save” but you do have to promote it. Here are some clever ideas to help. At Guest Checkout – Hand your guest a little business card with your promo code on it. This lets them know they are special and that they will always get a better deal booking directly with you. 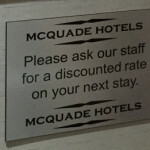 At reception – Put up a little plaque or sign stating that you always guarantee the best rate when guests book direct and that some guests might get a special discount when they book again. 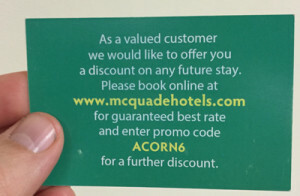 Give them the promo code so they can use it to claim their discount when booking direct. On your email signature – When you email guests about coming back to stay with you mention your promo code so they can get their special private deal. Again this reinforces the book direct message in a place where they might be considering making a booking with you. We all like to feel special, using promo codes is a great way to show guests that you value their business and want them to come back and stay. Its a powerful message, book direct and save… here is a little exclusive discount because we value your custom. You want them to come back and/or tell family and friends about the special deal they can have by booking with you directly next time – promo codes do that for you. The video below shows how the promo codes work, all you need to do is login to your freetobook account select the tab “Specials” and “Promo Codes” on the orange bar. To get a little further information see the promo codes section on our website.